Earn 0.5 credits for each activity (1.5 credits total) here. Each year, CNNT, in partnership with Nephrology Nursing Certification Commission (NNCC), provides up to three nurses $3000 to pursue advanced education. If you are pursuing a BA or MA in nursing, you may be eligible. The application period opens in the fall of each year. This online CE activity aims to increase knowledge, and adherence of infection control practices in a hemodialysis setting. Participants will learn to improve practices through team/patient support and tracking improved patient outcomes while decreasing or eliminating patient related infections. Learn more about the Council of Nephrology Nurses and Technicians' mission, goals, as well as ways to get involved. Access clinical tools, fact sheets, calculators, and more. NKF offers many CEU's in various formats. 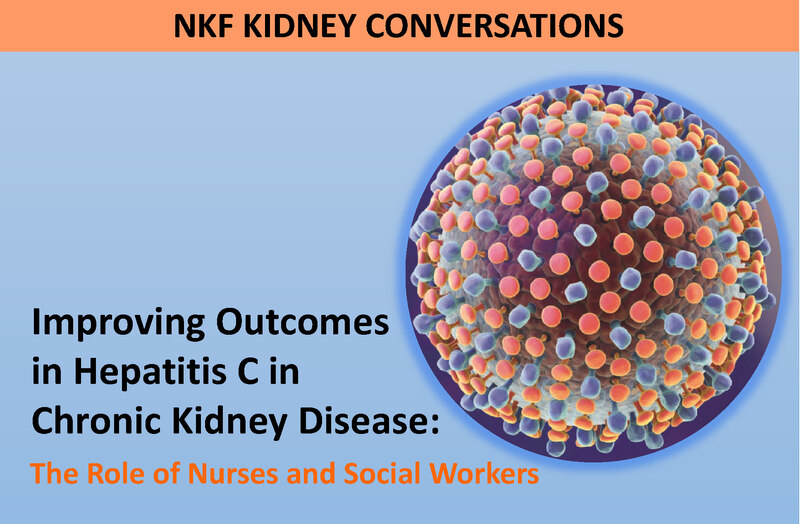 Learn about NKF's four professional journals: American Journal of Kidney Diseases, Advances in Chronic Kidney Disease, Journal of Renal Nutrition, andthe Journal of Nephrology Social Work. Nominate your colleagues for CNNT's distinguished awards.